Last week was so much fun! We loved seeing all of your fabulous creations! We are so excited to see what you have in store for us this week…we can’t wait to pin and share! 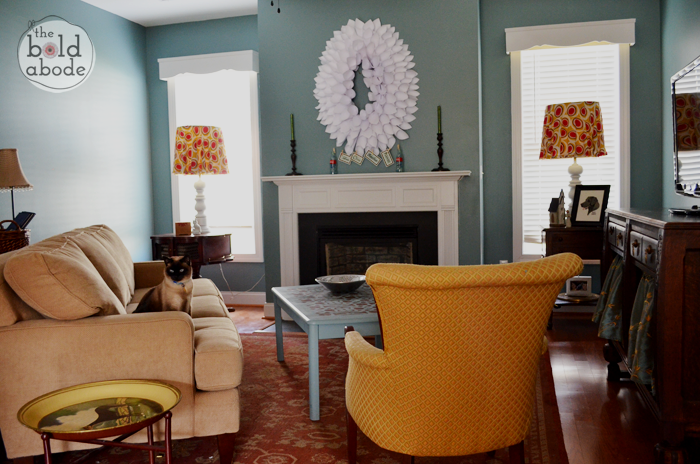 The Bold Abode’s Home Sweet Home Tour Of Her Family Room! If you were featured, make sure to grab a featured button from our sidebars! 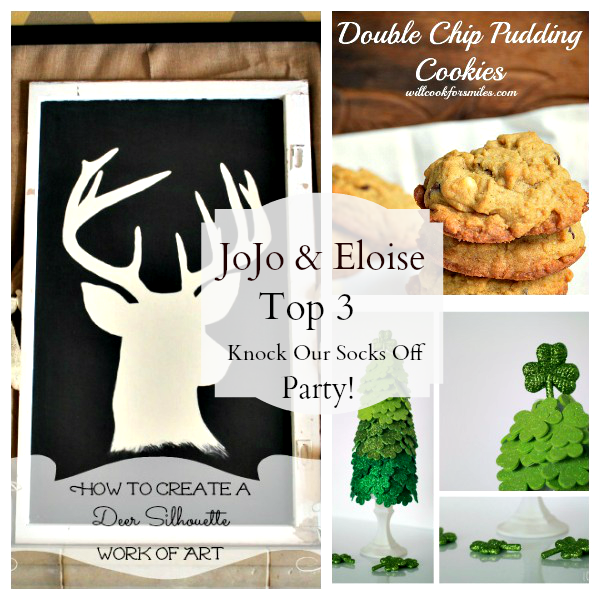 Every Tuesday, you come link up to 3 of your new craft projects, home decor, DIY, and recipes, and we will feature, pin, and Facebook share them! With over 6,600 combined Pinterest followers, and over 6,500 combined Facebook followers, we want to spread the love! Every week, we will pick 3 features each, plus we will feature the most viewed link! Each featured project/recipe will be pinned to a exclusive Knock Our Socks Off Pinterest Board as well. In addition, we will be randomly sharing your projects on our facebook pages! 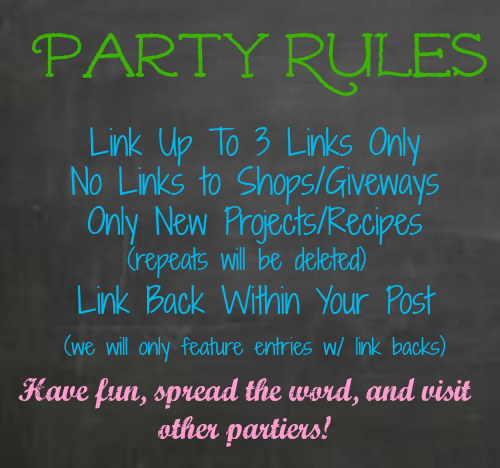 Be sure to grab a party button from our sidebars, or use a text link! « Win a Canon Rebel T3…Just Pin It To Win It! Not the norm for me to be early, the first or even show up to a party anymore:) Thanks for hosting ladies. I didn’t even write an acceptance speech! Am I dressed appropriately (in my pi’s) for this?! Thanks for picking my egg garland as one of your faces!! And to be groups with Karen and Matt & Jacque – extra bonus!! Thanks for the party Jess :) Love your guys picks and seeing Gwen’s place in the spotlight!! Thank you so much for including my cookies in the features!! Thank you for hosting another party and have an awesome week! Yay!!! Beyond excited to be featured!!! Woo hoo!!!! I’m going to have to come back later in the week to link up! I am ready to knock my socks off at your Par-tay!! :) Happy to be joining here. Thanks SO much for hosting! Love the new party! I have no idea how I stumbled over here tonight…but wowie am I glad I did. You all know how to par-tee!!! Eeeee thanks so much for the awesome feature! And thank you for hosting!!!!! Thanks for hosting! Looks like an amazing party! Hi Jessica, I just noticed the party!! Sorry I missed the first one. thanks for hosting. I am so late to this party! Thank you so much for including my book case. I am humbled to be with Kelly! 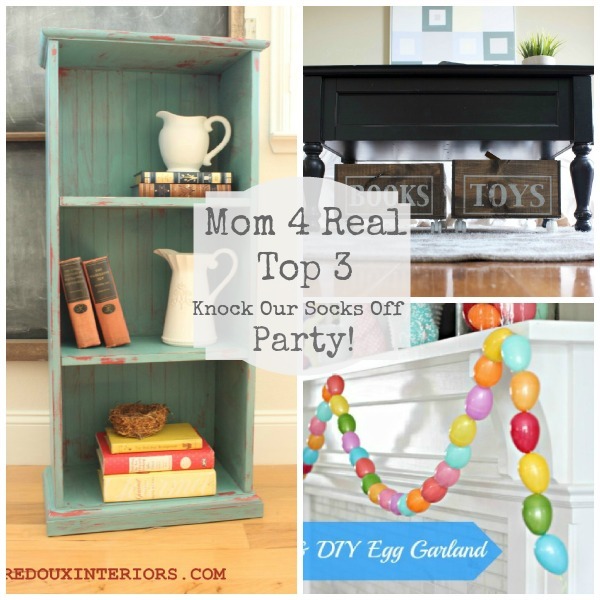 This is a really fun party! Sharing on my FB page too!